Watch the recording of our “The Reasons for Growth” webinar featuring experts from LeadingAge, HumanGood, and Asbury! 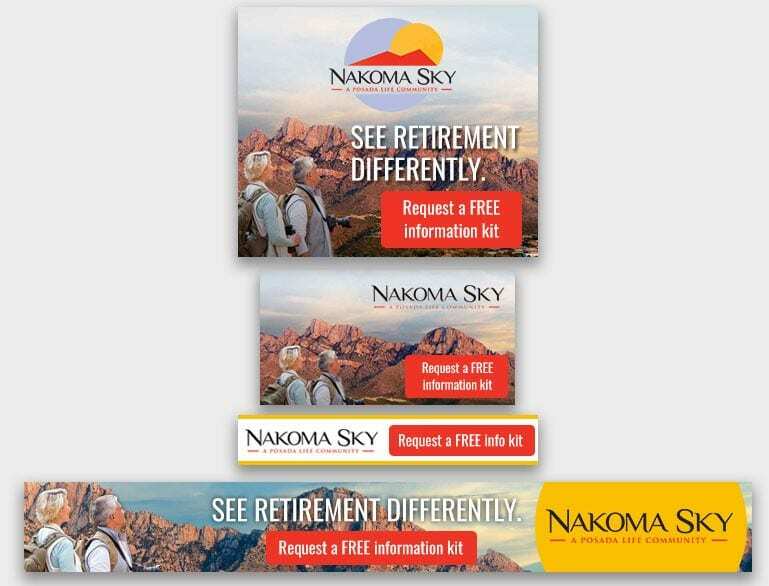 … more than 76 million baby boomers will start making their post-retirement life choices starting in 2025. The value of reminding us that the wave is almost to our customers’ age is to illustrate the growth needed…and the change needed! 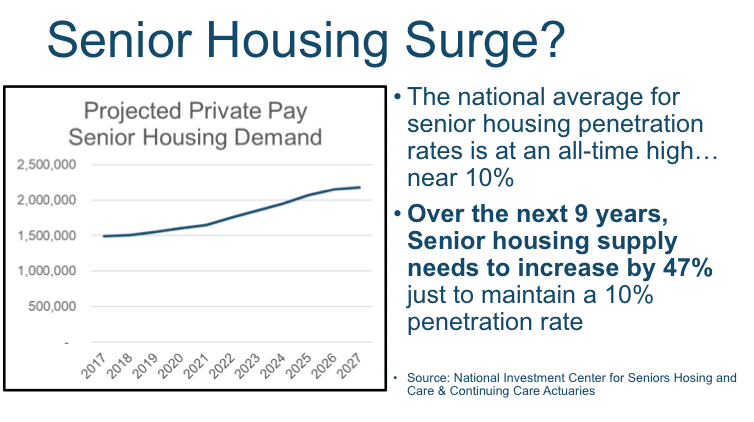 This chart, which is from a PowerPoint that Brad Paulis of Continuing Care Actuaries shared at LeadingAge’s 2017 annual meeting, shows that nationally senior housing is at a 10% penetration rate. Just to keep up with that level of demand as we move forward, we need to increase our inventory by another 47%! 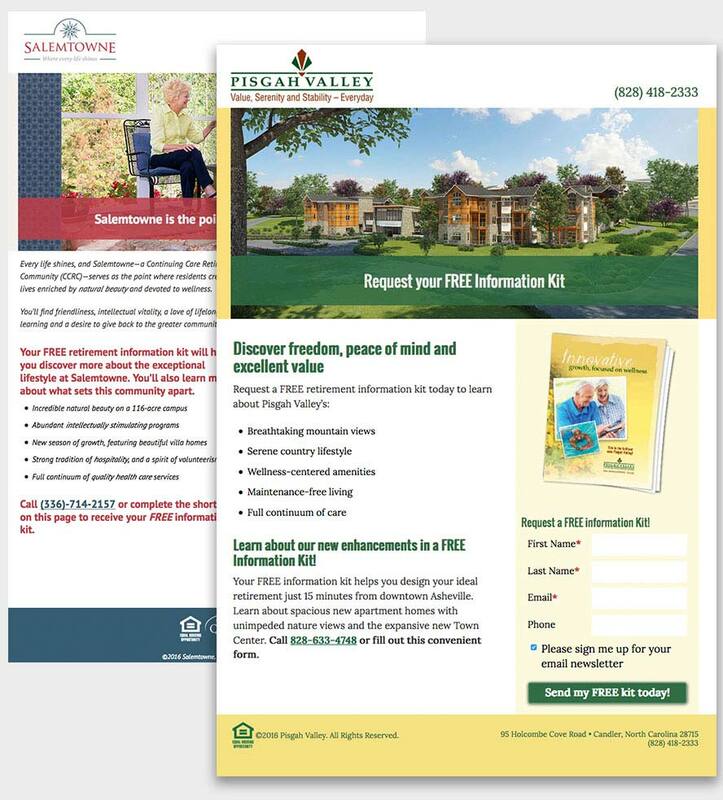 So here’s an important question for those of us in the senior housing field: “Can we add 47% in the next nine years?” Think about this question. According to Perry Aycock of K4Connect, currently about 1,961 communities have approximately 600,000 residences. An increase of demand by 47% (just to maintain a penetration rate of 10%) would require adding roughly 282,000 residences. At roughly $250 per square foot, that totals about $67 trillion (or roughly $240,000 per resident). 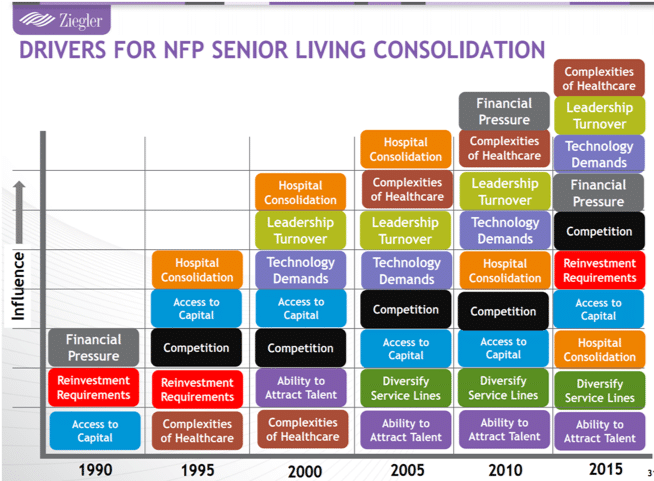 In short, plenty of opportunities abound for senior living providers in the coming years. The last of those nine goals, Expand our talent pool and areas of expertise, in my mind really speaks to Asbury’s desire to grow through expansion of partnerships, service lines and affiliations. Another organization that understands the value of growth through partnerships is United Methodist Retirement Communities, Inc. (UMRC). Despite serving older adults for over 110 years, very few senior living organizations have the entrepreneurial spirit that UMRC continues to display. UMRC now offers Michigan’s most diverse housing options and services to seniors of all income levels with a total of eight campuses in 12 counties and serves more than 2,600 older adults in Michigan.“We have to be creative,” says John Thorhauer, UMRC’s president and CEO. “The time to prepare for significant growth is now. Today’s seniors want quality, active lifestyles and choices and UMRC is dedicated to providing this lifestyle through a diverse array of options available to older adults at different income levels.” John continues, “Not everyone will want or can afford the full service retirement community setting.” UMRC’s multiple partnerships in Programs for All-Inclusive Care for the Elderly (PACE) and affordable housing have successfully leveraged the experience of six other senior living housing and service agencies. 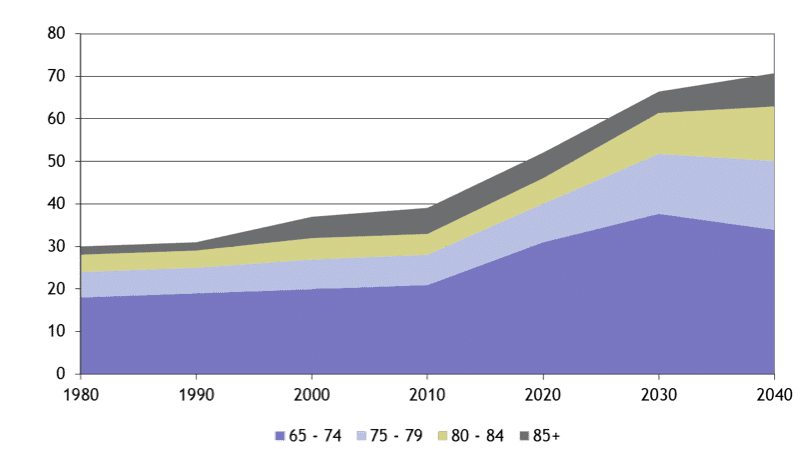 John adds “As Michigan’s senior population continues to rapidly expand, nonprofit organizations committed to a mission of senior care must seek to meet an increased demand for services through growth and partnerships. Organizations like us need to leverage our existing strength to attract philanthropy and new capital to even attempt to keep up with demand”. While Asbury might not be alone in understanding the value of strategic partnerships, it might be one of the most aggressive in pursuing these opportunities. 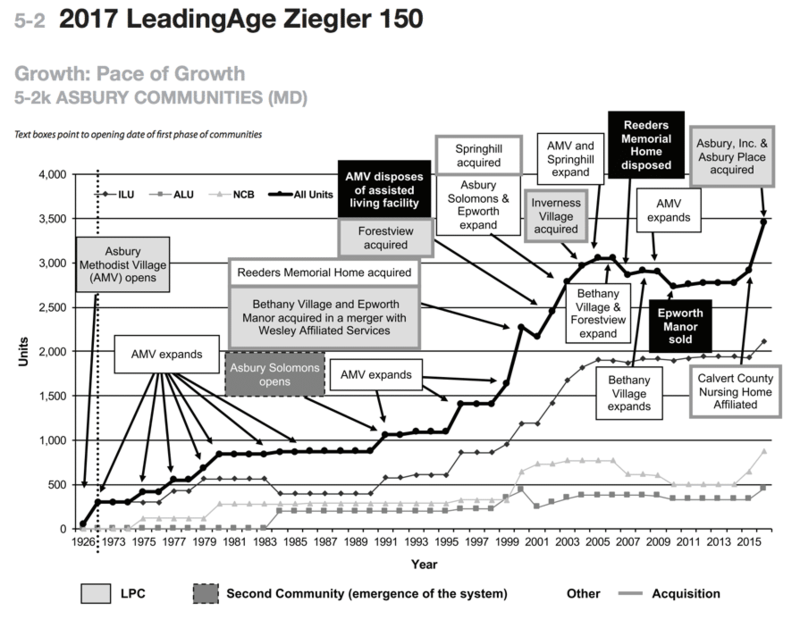 Unlike many other senior living organizations, Asbury had the wisdom to craft a unique team to focus on creating strategic partnerships (rather than throwing this responsibility on top of the executive team’s existing responsibilities). Some of these core competencies are accomplished with the assistance of trusted partners that Asbury has vetted (full disclosure: Love & Company is one of those partners), while many are handled entirely in-house. All are managed with Asbury’s skilled and experienced oversight. But it’s the new service lines that excite me. Some of the major initiatives Asbury is studying right now include telehealth, home care, robotics, smart home technology and a group purchasing organization. Interestingly, all of these initiatives could have a key strategic role in supporting another initiative Asbury is considering, CCRCs without walls (also known as Continuing Care At Home or CCaH). Asbury recently entered into a partnership with TripleCare. In a thoughtful LeadingAge Magazine article, David Smeltzer had some advice for providers contemplating a new partnership through a merger or affiliation. “A merger can either happen in your control or out of your control. Don’t wait until things get bad to try to find a partner who shares your values,” cautions Smeltzer, president and CEO of Heritage Ministries in Gerry, NY. For more information about how Love & Company can help your community or organization grow smartly, contact Tim Bracken at 410-207-0013, or click here for a free assessment!